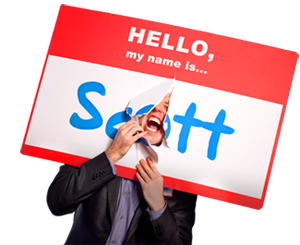 12 Ways to Lead a Potent, Productive and Profitable Thought Life - HELLO, my name is Scott! If you want the marketplace to recognize you as a Smokin’ Hot Piece of Brain Candy, “thinking” is not your main responsibility. Thinking is merely the residue of leading a potent, productive and profitable thought life. Want to learn how to have one of those? Is this thought really mine? Am I living someone else’s mechanical thoughts? Am I bound and limited by the thoughts others have formulated for me? Remember: Your thoughts need to be yours. If you don’t take control of your cognitive faculties, someone will gladly do it for you. How diligently and proactively are you taking ownership of your thought life? 2. You get exactly what you’re willing to receive. Let’s take creative inspiration, for example. If you want to become a relentlessly open container in which the world can place its ideas, you’ve got to: (1) invoke the muse to come, (2) honor the muse when it arrives, and (3) thank the muse when it departs. That way she will gladly return tomorrow. And who knows? Maybe she’ll stay longer next time. But only if you’re more receptive to her whispers. What is your ritual for summoning the higher creative forces? 3. Book blank time. In 2006, PBS ran a special called, Warren Buffett & Bill Gates Go Back to School. Recorded on college campuses nationwide, unedited in front of live audiences, Buffet and Gates simply sat on a stage and answered questions. That’s it. Coolest program ever. One of the lessons I remember both billionaires sharing was their daily dedication to booking blank time. No meetings. No calls. No nothing. Just space to think. Every day. Based on their combined net worth, I’d say profitable would be an understatement. How much time each day do you sit uninterrupted and quiet with just your thoughts? 4. Be determined to spread the truth you discover. Doesn’t matter if it’s thee truth – just your truth. The point is: Thoughts are useless if kept captive inside your head. Learn to release them in – one pebble at a time – into the pond of life. The ripples will come back tenfold. As long as you resist the Whoami Syndrome: Who am I to share this thought? Who am I to publish my opinion? Well, just ask Technorati: The web’s leading cataloguer and researcher of blogs. According to their annual report, there’s a new blog created every second. Every second. That’s 86,000 new blogs a day. What’s your excuse? 5. Conversations are laboratories. I have lunch with Smokin’ Hot Pieces of Brain Candy at least once a week. It’s like balm to my soul. Fuel for my brain. And here’s why: Talking makes you think. Thinking makes you write. Writing makes you create. Creating makes you ship. Shipping makes you money. Q.E.D. If you’re looking for a creative boost to attract more ideas into that big juicy brain of yours, start using conversations as tools. Here are four lab rules to remember when cooking up something new in your conversational laboratory: (1) Increase your frequency, (2) Take more notes, (3) Ask better questions, and (4) Become a plucker of good ideas. Whom did you have lunch with this week? “The sovereign invigorator of the body is exercise, and a strong body makes a strong mind.” Do it daily. Do it rhythmically. Do it intentionally. Stretch your legs and you will stretch your brain. Did you work out today? (1) Do these thoughts serve me or hurt me? (2) Will these thoughts bring me peace of mind? (3) Am I thinking a thought that will stress me out? (4) Do all the thoughts in my head get along with each other? That way you can keep a watchful eye on what you allow to enter into your headspace. Are you mindfully monitoring your thoughts or allowing them to dictate how you behave? 8. Transform your interior landscape. I will now summarize every self-help book ever written: “As a man thinketh in his heart, so is he.” That’s from The Bible. You may have heard of it. Now, I think it’s fair to say that the concept is common knowledge. Unfortunately, that doesn’t make it common practice. Your challenge is to customize a daily practice of saturating your mind with successful thoughts and keeping your internal conversations in alignment with success and fulfillment. What seem to be your most productive thought patterns? 9. Save the smarties for Jeopardy. No disrespect to Alex Trebeck, but the world has too many smart people and not enough intellectuals. You don’t need to accumulate facts – you need to explore ideas, extract universal truths from your experiences and apply them to anyone, anytime, anywhere. My mentor, Bill Jenkins, is one of the great intellectuals I know. 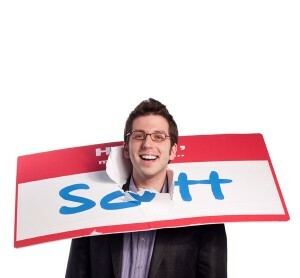 He explained the difference between the two as follows: “Smart people study content for the purposes of memorization. Intellectuals entertain ideas for the purpose of democratization.” True Smokin’ Hot Pieces of Brain Candy accomplish the latter. Are you an intellectual or just really smart? 10. Release your thoughts. Even if you never publish a single thought in your life, relocating them from your brain to the page is paramount to the potency of your thought life. First, writing is the great clarifier. You don’t know what you know until you physically write it out. Secondly, writing is the great organizer. Until you see your words on a page, flipchart, dry erase board or sticky note, you will never realize the inherent geometry of your thoughts. The brain is a self-organizing system, and most of the logistical work has already been done. You just need to experience it visually. Finally, writing down your thoughts makes them public in your mind. By virtue of relocation, your brain instantly relaxes because it doesn’t have to remember anything. Whew. What did you write today? 11. Stay incessantly commitment to observation. There never ceases to be an inexhaustible source of living water. All that’s requires is that you poke about the world, stay quietly fascinated and look with the right pair of eyes. You also need to ask questions like: How do these ideas relate to my life? Is there a method of thinking or a metaphor implied that I could adapt to my own world? How does this fit into my theory of the universe? Remember: Creativity is nothing but active listening. If you find yourself blocked, perhaps you should have your hearing checked. Are you a great noticer? 12. Never neglect your non-thought life. As profitable and beautiful and essential it is to be a thinker, don’t forget to balance your thoughts with non-thoughts. Incorporate regular time each to go perpendicular. Even if it’s just for five minutes. Play music. Meditate. Practice yoga. Work in the garden. Whatever. Return to your sanctuary of non-thought to refresh, rejuvenate and air out your brain. You will return with strength. Remember: If there’s not enough whitespace around your grey matter, your head might explode. How much time do you spend each day doing the opposite of thinking? REMEMBER: Thinking is not your main responsibility. Leading a potent, productive and profitable thought life is. How much of a thinker are you? For the ebook called, “10 Ways to become a Smokin’ Hot Piece of Brandy Candy,” send an email to me, and you win the ebook for free!